Congratulations to Cara! You are the winner of the Feingold Membership. I will e-mail you to get your mailing address. The winner was chosen using www.random.org. Thank you to everyone who signed up for a chance to win and for sharing your stories! I truly wish I could bless all of you with a membership because I know what a life changing thing that can be. It was for us. I wish you all the best and hope that I can be a help to you via my blogs and Facebook. But wait, there’s more!…I am hosting a second chance Feingold Membership giveaway. I will be giving away one more membership, which will only be open to those of you who registered for the May giveaway. You don’t have to do anything to enter this one. I will use the information from the previous giveaway, but I would love it if you could help me out with a couple new endevours of mine. I have just started a new blog at http://feingoldrecipes.blogspot.com. This blog will hold all of my recipes. I did this so I could organize the recipes better and have them print out one page at a time. I will be adding a few recipes a week until I have all of them on there, and then will be adding new ones as I find them. You can sign up to be a follower, and you can also sign up to receive daily e-mail notifications of the posts from the previous day, if any. I’ve also just opened a Twitter account and a Facebook page. The links to these can be found on the top left of this blog. I will be using Facebook to post links to recipes on my Feingold Recipes blog, to show what we are having for dinner. I’m also using Facebook to post lots of pictures of products and foods that we buy. 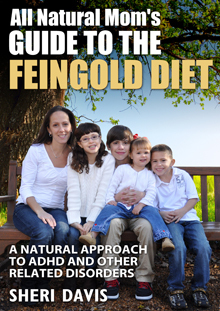 I hope this will be helpful to newbies and those wanting to try the Feingold Diet, but just aren’t able to for one reason or another. 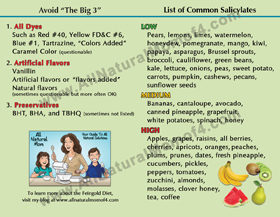 Some members of my family are also GFCF (gluten and dairy free), so you will see those foods on there as well. 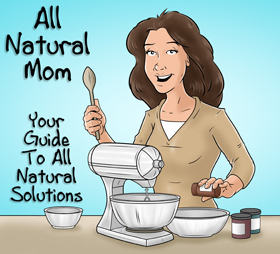 I would love it if you all would “Like” All Natural Mom on Facebook and follow All Natural Mom on Twitter. Twitter: @AllNaturalMom4. This doesn’t always find it though, so the best way would be to click on the link on the left. You can also sign up to be a follower on the new Feingold Recipes blog. I am trying to get sponsors for my blog who will sponsor a Feingold Membership so that I can fund more memberships via my blog. But, they want to see a big following. Spread the word to your family and friends too. 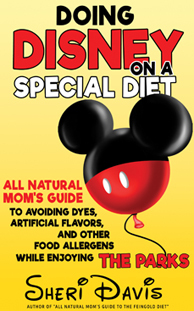 We also just need to get the word out about dyes and chemicals in our foods so that eventually the manufacturers will have to pull these things from our kids’ foods because the public will demand it. We have to band together and be the moms on a mission that our kids need. I also want to get the word out that until our food supply improves, there is an alternative way to treat our kids who have ADHD. Praying God’s blessings on all of your families.